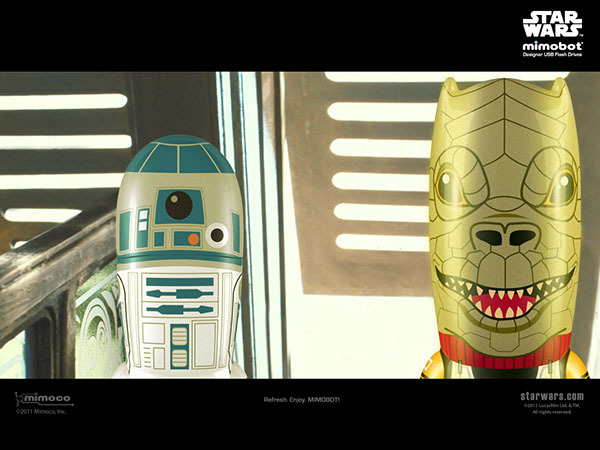 The latest Star Wars MIMOBOT Series 7 features iconic characters from Star Wars Episode VI: Return of the Jedi. 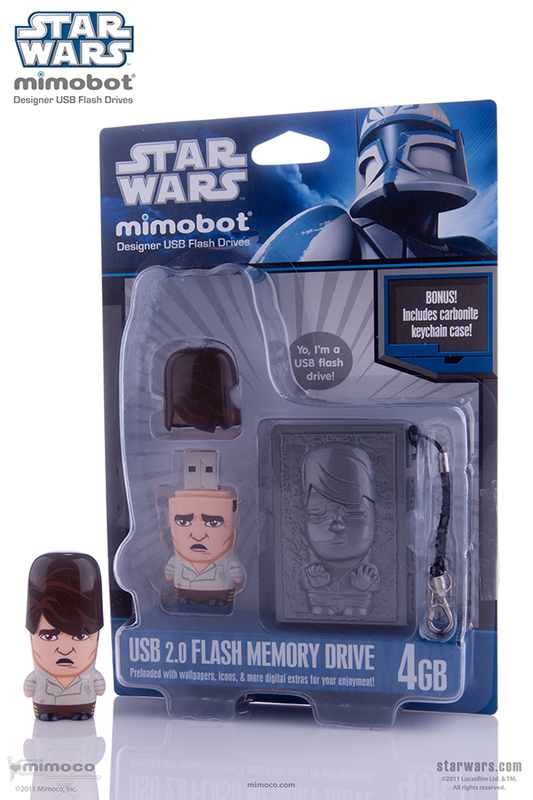 Leading off is Han Solo MIMOBOT with Carbonite carrying case, a keychain accessory that encases Han Solo in a sculpted plastic protective block re-imagining a new use for the famous frozen intergalactic smuggler. 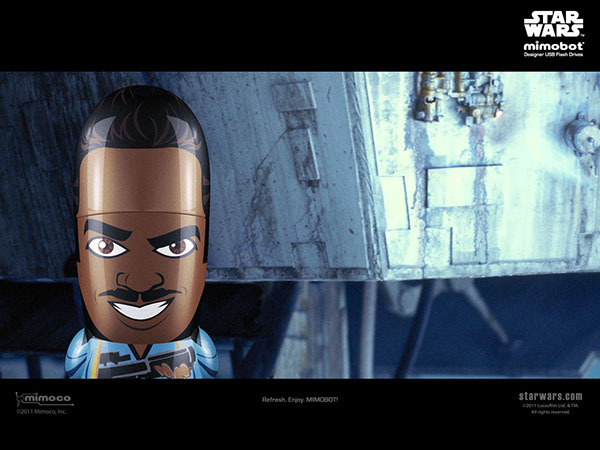 For the first time in MIMOBOT form is Lando Calrissian, Solo’s redeemed friend who aids in his rescue and pilots the Millennium Falcon helping to destroy the Death Star. 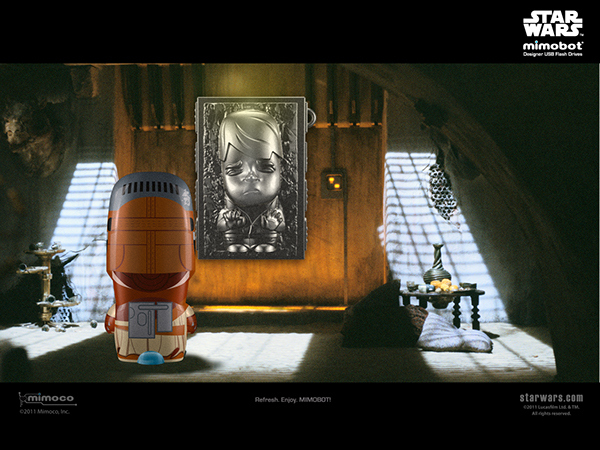 Also joining in the fight against the Galactic Empire is Princess Leia MIMOBOT, disguised as the bounty hunter Boushh, ready to save the one she loves from the clutches of Jabba the Hutt. Lastly, the fan-favorite Boba Fett has been reissued in Return of the Jedi styling, updated with a new battle-scarred suit and more intimidating scowl. 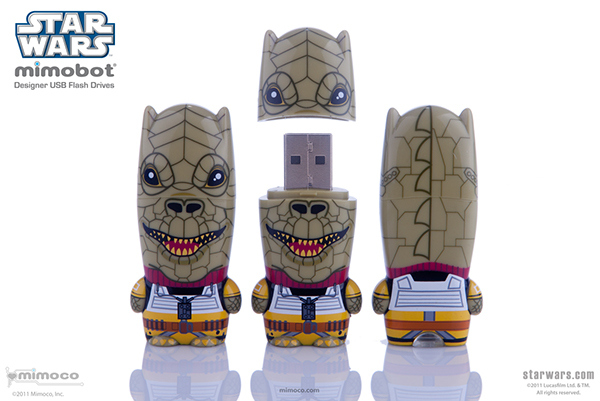 These new additions join previously announced SDCC exclusive Trandoshan bounty-hunter Bossk. 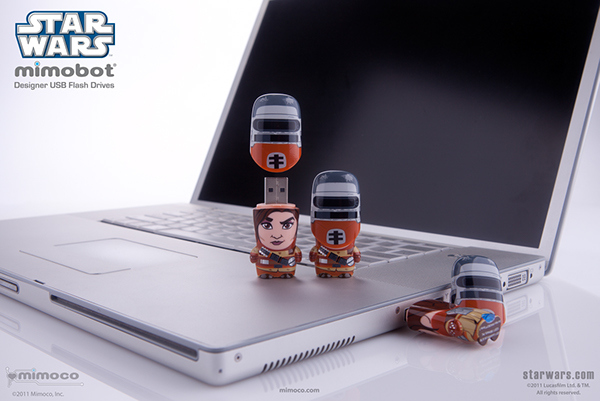 A few desktop wallpaper designs that are pre-loaded onto the drives. 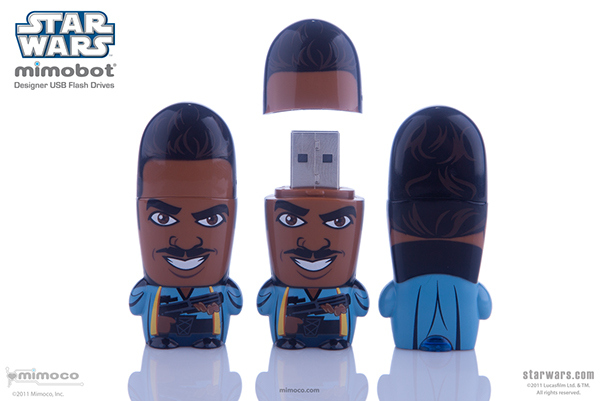 character & packaging designs for Mimoco, Inc.